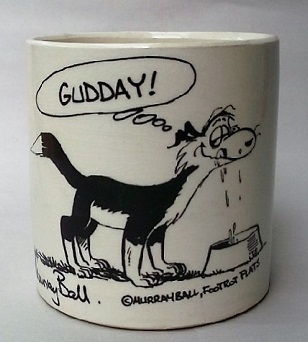 She was a well known Northland Potter & Artist. 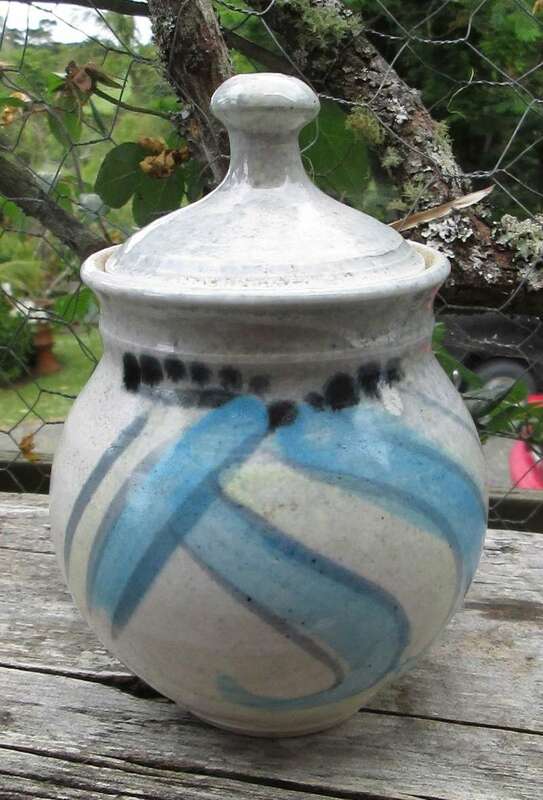 A friend to many, I met Jan 1990 at the Craft Quarry, as she was moving from Pots to Canvas.. She was an active member of the Northland Craft Trust & Quarry Craft Co-op shop. 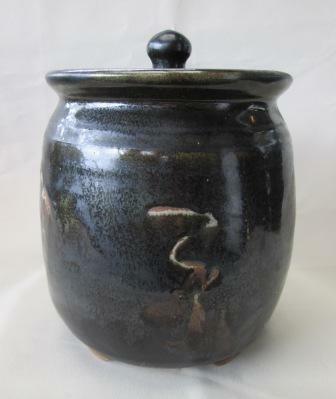 ..I will endeavour to find more pic's for you to see as I think she was amazingly accomplished & a prolific artist whos pots are often unmarked. 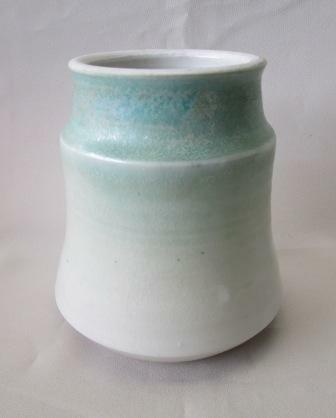 I am very pleased to have found a clear JG on this 13cmh Matt vase, it's lovely & quite typical of Jan's style. 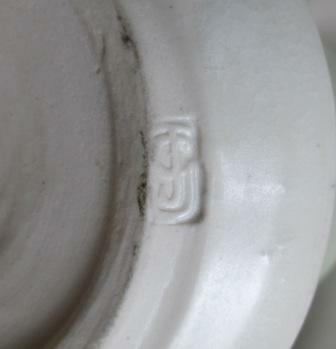 20cmh footed canister, unmarked, bought from Jan.
Another of Jan's in daily use as a sugar pot..